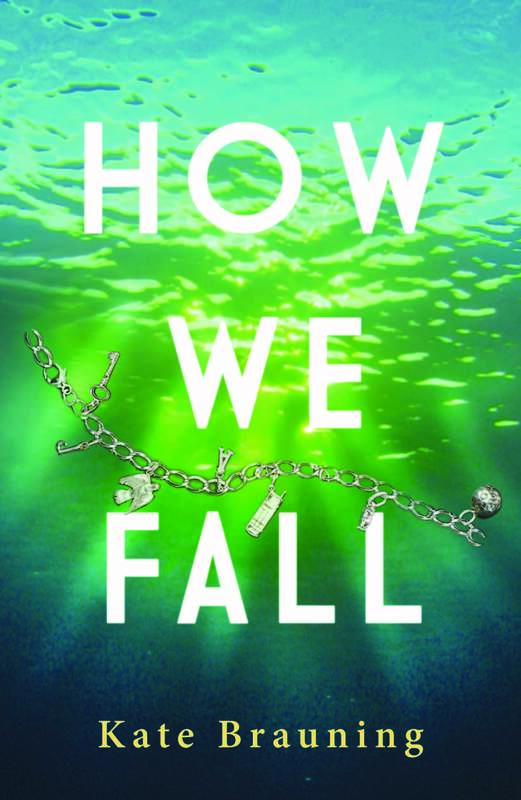 HOW WE FALL by Kate Brauning – Cover Reveal and Excerpt! My good friend and lovely author, Kate Brauning, is releasing her first YA contemporary novel with Merit Press, F+W Media Inc., and I get to help with the cover reveal!!!!! If that wasn’t enough to get your heart racing, I also have an excerpt from the novel itself to release as well. I know, I know. This is a lot for your feeble heart to handle on a Monday, but I made a commitment to post it so it MUST go up. Catch up on what the book is about, and then get ready to be blown away by cover goodness and excerpt heaven afterward!! You don’t want to miss it! He kissed her on a dare. She told him to do it again. Ever since Jackie moved to her uncle’s sleepy farming town, she’s been flirting—a bit too much—with her cousin, Marcus. She pushes away the inevitable consequences of their friendship until her best friend, Ellie, disappears, and the police suspect foul play. Just when she needs him most, Marcus falls for the new girl in town—forcing Jackie to give a name to the secret summer hours she’s spent with him. As she watches the mystery around Ellie’s disappearance start to break, Jackie has to face that she’s fallen in love at an impossible time with an impossible boy. And she can’t let Marcus, or Ellie, go. Publisher: Merit Press, F+W Media Inc.
Last year, Ellie used to hang out at the vegetable stand with Marcus and me on Saturdays. This year, her face fluttered on a piece of paper tacked to the park’s bulletin board. Most weeks, I tried to ignore her eyes looking back at me. But today, Marcus had set the table up at a different angle, and she watched me the entire morning. The day that photo was taken, she’d worn her Beauty and the Beast earrings. The teapot and the teacup were too small to see well in the grainy, blown-up photo, but that’s what they were. She’d insisted sixteen wasn’t too old for Disney. The crunch of tires on gravel sounded, and a Buick slowed to a stop in front of the stand. I rearranged the bags of green beans to have something to do. Talking to people I didn’t know, making pointless small talk, wasn’t my thing. My breathing always sped up and I never knew what to do with my hands. It had been okay before, but now—surely people could see it on me. One look, and they’d know. Chills prickled up my arms in spite of the warm sun. Marcus lifted a new crate of cucumbers from the truck and set it down by the table, his biceps stretching the sleeves of his T-shirt. Barely paying attention to the girl who got out of the car, he watched me instead. And not the way most people watched someone; I had his full attention. All of him, tuned toward me. He winked, the tanned skin around his eyes crinkling when he smiled. I bit my cheek to keep from grinning. The girl walked over to the stand and I quit smiling. Marcus looked away from me, his gaze drifting toward the girl. Each step of her strappy heels made my stomach sink a little further. Marcus tilted his head. He didn’t tilt it much, but I knew what it meant. He did that when he saw my tan line or I wore a short skirt. I narrowed my eyes. “Hi,” she said. “I’d like a zucchini and four tomatoes.” Just like that. A zucchini and four tomatoes. Of course she wasn’t from around here. We’d know her if she were. “We just moved. I’m Sylvia Young.” The breeze toyed with her blonde hair, tossing short wisps around her high cheekbones. Her smile seemed genuine and friendly. Of course. Pretty, friendly, and new to town, because disasters come in threes. “Going to Manson High?” Marcus handed her the bags. “Hmm?” Sylvia turned from Marcus. “Oh. Right.” She handed me the cash and looked over the radishes. “Are you here every day?” Her eyes strayed back to Marcus. “Three times a week,” he said. “I’ll see you in a day or two, then.” She waved. I was pretty damn sure she wouldn’t be coming back for the radishes. Now that you’ve seen the dynamite cover and read that intriguing excerpt, the next pratical move here is to pre-order the darn thing! Good thing I have all the linkies right here for your purchasing pleasure! Amazon U.S., Amazon Canada, Amazon U.K., Amazon Germany, Amazon Japan. Add How We Fall on Goodreads! Kate spent her childhood in rural Missouri raising Siberian huskies, running on gravel roads, and navigating life in a big family. Now living in Iowa, she is married to a videographer from the Dominican Republic, and still owns a husky. She loves bright colors, fall leaves, unusual people, and all kinds of music. Kate has written novels since she was a teen, but it wasn’t until she studied literature in college that she fell in love with young adult books. 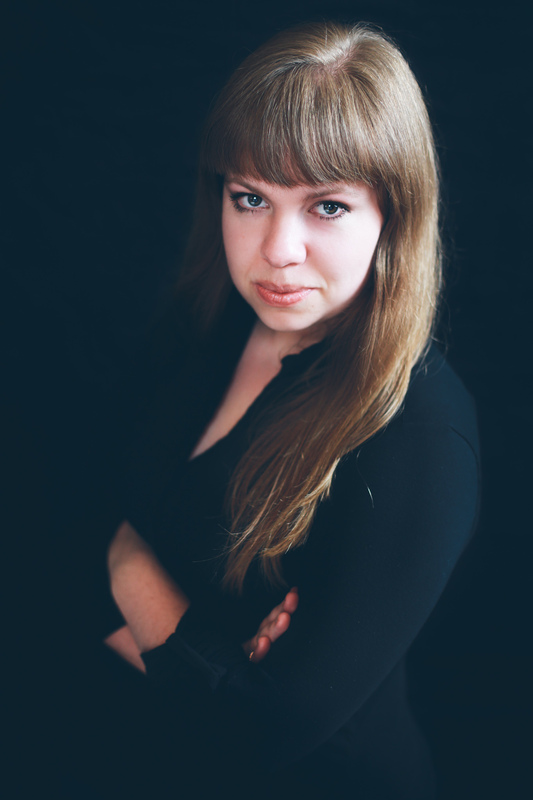 Kate now works in publishing and pursues her lifelong dream of telling stories she’d want to read. Visit her online, on Facebook, or on Twitter. « #WriterLife – What Is Your Life Like as a Writer? Pretty cover. Sounds like a great book. Congratulations, Kate!